In the community of Makaranta, the vast majority of the population is made up of petty traders. Without specialized skills or training most individuals have little opportunity to achieve even the most basic elements of economic independence. 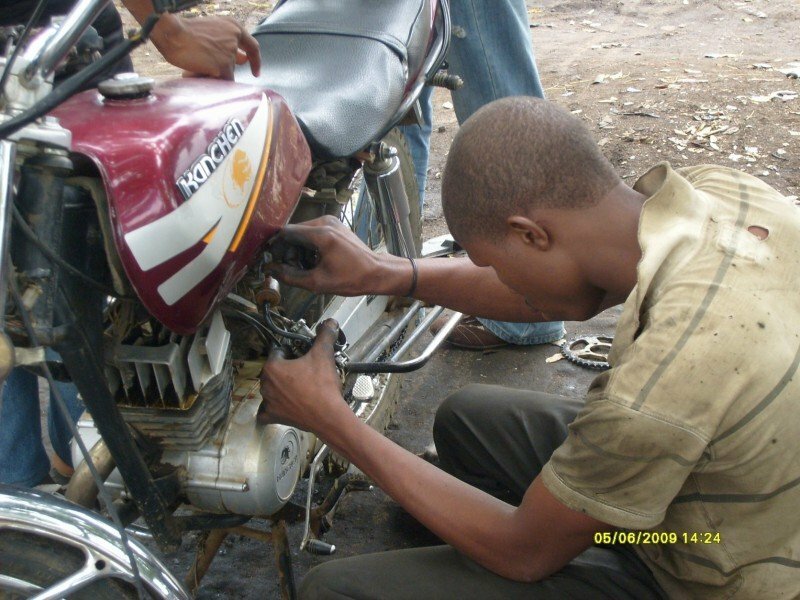 The AH Motorcyle Shop will infuse the neighborhood with sorely needed skills and income to young men who have no where else to turn and showcase for other youths that through hard work and skills training they too can have a future. 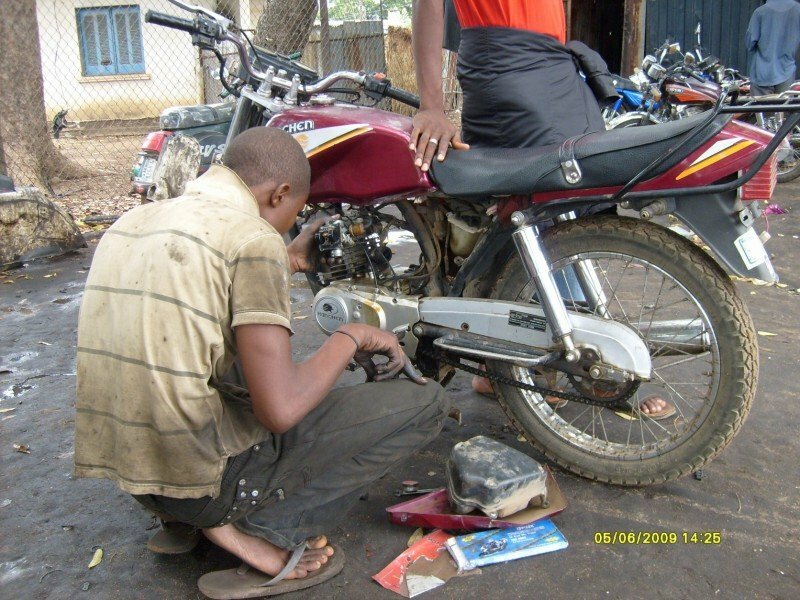 The AH Motorcyle Repair Program will provide vital motorcycle repair services for the surrounding community. 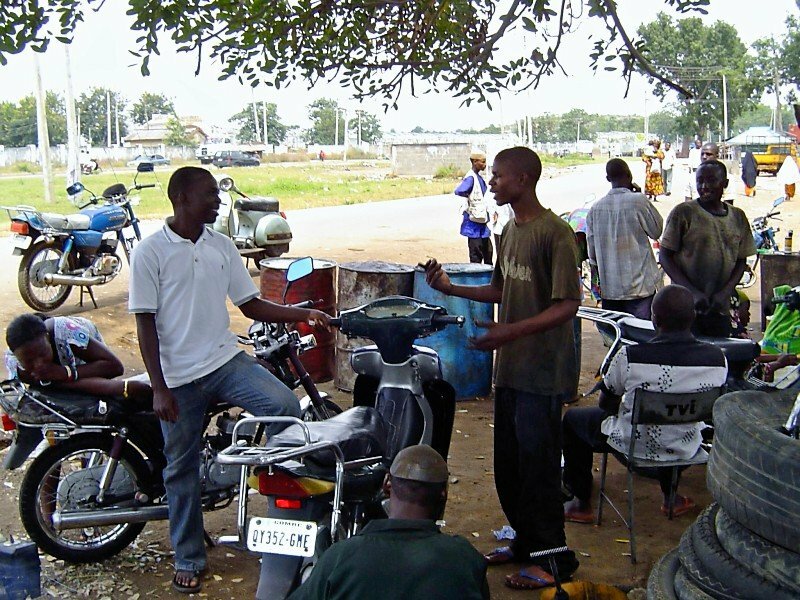 Most travel is done on motorcycle taxis as most people in the community cannot afford cars or motorcycles. The program will also showcase how other community members can create a business. The income they generate will also raise the standard of living for both their immediate and extended families helping to solve their local poverty issues. 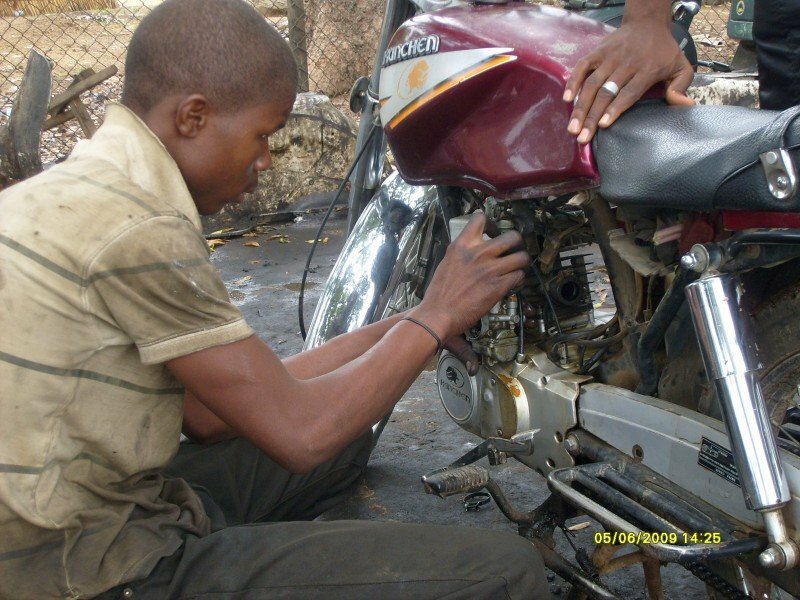 Skilled mentors will train the most motivated youth leaders in motorcycle repair. 8-12 young people will selected & apprenticed to an experienced tradesman with the expectation that they will complete a six month course of training fully prepared to set up shop independently or to seek paid employment. 5 are expected to graduate. Each participant will also be trained in business management skills such as materials acquisition, equipment maintenance, site planning, & financial management.